Just the usual afternoon roundup of cool e-book links. The Oval World by Mary Clare Evans. Science Fiction / Fantasy. Zoe Thanatos by Crystal Cierlak. Science Fiction. Maggie Again by John Husband. Science Fiction. Soul Catcher by E. L. Todd. Fantasy Romance. Shadowplay by Jon Gerrard. Science Fiction. Evil In Mind by Shaun Adams. Horror. Shotgun Rites by Stephany Simmons. Dark Fantasy. 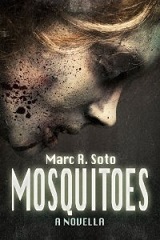 Mosquitoes by Marc R. Soto. Horror. The Gift of Flame by Erin McManaway. YA Fantasy. Trail of Bones by Chris Salisbury. YA Fantasy. "Kim Hyejin (Something Super)" by Brent Meske. Superhero. "Adventures In The Moonlight" by Stephen Walker. Historical Fantasy. Revelation by B. E. Van Loon. 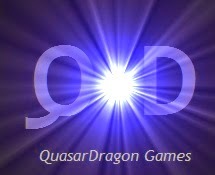 Contemporary Fantasy. 83k words. "Whither Must I Wander" by David Haywood Young. Science Fiction. "Velvet Manor" by J Niessen. Science Fiction. Songs of a Peach Tree by Michael Ciardi. Horror. Ghost. 84k words. "Aldedaros" by Mike Brandish. Horror. Forever Tomorrow: Book One of The Book of Tomorrows by Alexander Ulysses Thor. Science Fiction. 140k words. The Final Battle by Anna Wu. Hard SF. 109k words. Adrian's War (A Distant Eden) by Lloyd Tackitt. Post-Apocalyptic. Dragon Over Washington (The Third War Of The Bir Nibaru Gods) by Bruno Flexer. The Eldridge Conspiracy by Stephen Ames Berry. Science Fiction. Techno-thriller. Mind Trace by Holly McCaghren. Science Fiction. BlackBlade: The Forging of a Legend by Greg Baldwin. Fantasy. Psinapse by Andrew Ives. Cyberpunk. The NPC by Thomas A. Gilly. Cyberpunk. Copperback by Tarah R. Hamilton. Science Fiction. Romance. The Parasomniac by Derek Rasmussen. Paranormal. Yuen-mong's Revenge by Gian Bordin. Science Fiction. Runefool (The Rune Series) by Macaulay C. Hunter. YA Paranormal. The Hopfield Tales by Mike Evers. YA Fantasy.